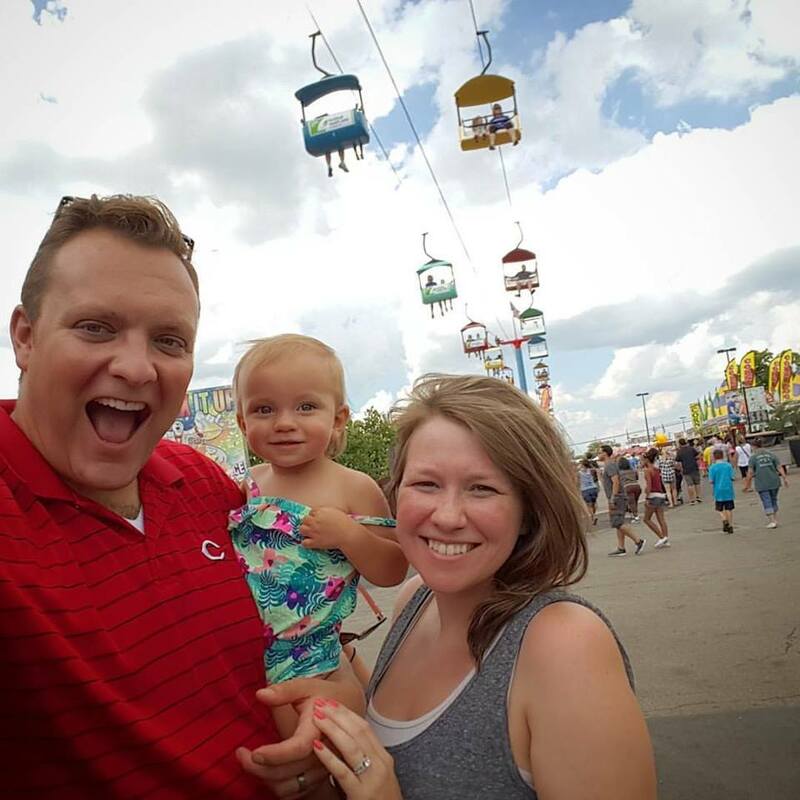 Dawn's business is taking a few days off so we went to the Ohio State Fair. (By a few days off that means that her boss is in Florida so Dawn only has to schedule and type up a few reports... so only a 4 hour day) Anyway, we went to the Ohio State Fair and it was hot, but we had a lot of fun. Watch Summer's reaction after the pig race was over. She didn't know whether to be scared of the animals or excited. She also tried mooing at the cows. Patchy fog for your Tuesday morning, especially in places that picked up rain on Monday. We stay warm and humid today with a very slight chance for pop-up isolated showers in the afternoon. Some clearing overnight and staying mild. 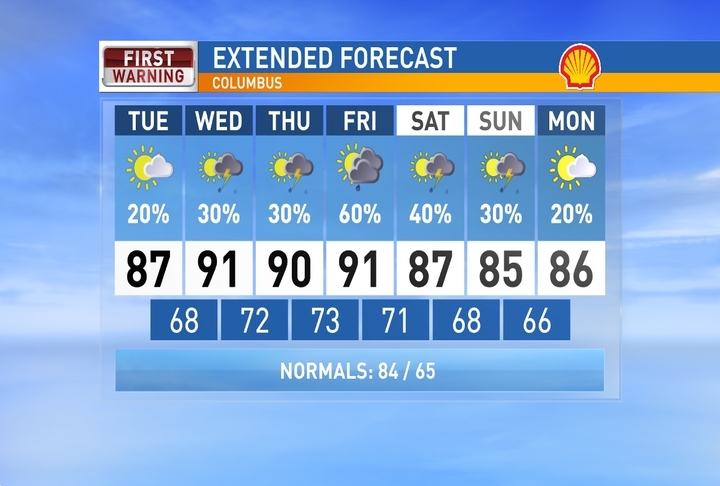 Partly cloudy & hot Wednesday and Thursday with a few showers/storms popping-up for the afternoon/evenings. 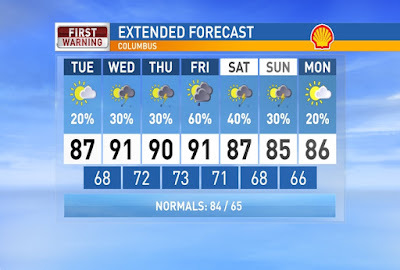 More rain likely Friday with a cold front bringing slightly cooler temperatures by the weekend. Have a good one!